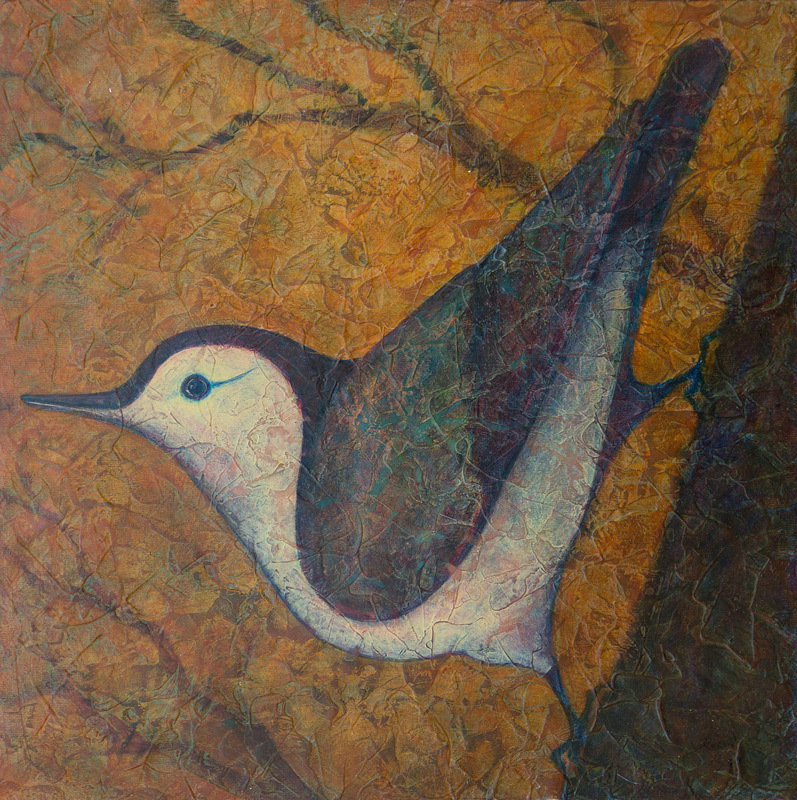 “Nuthatch I” is the first of my Fleeting Glimpses series. Nuthatches are my backyard acrobats. Multiple layers of acrylic and acrylic gel result in rich color, unique textures, and visual depth.